BOB ABERNETHY, anchor: Now, Belief and Practice: Today, a special ceremony for Sikhs, followers of the Guru Nanak, who founded Sikhism in India and preached the equality of all people and religions. 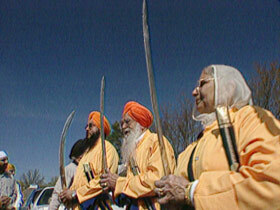 The ceremony commemorates the creation of a Sikh brotherhood called the Khalsa. At the Guru Nanak Foundation of America in Silver Spring, Maryland, our guide was Manjit Singh. 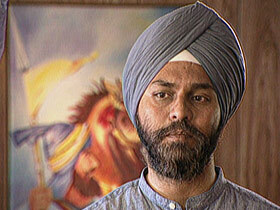 MANJIT SINGH (Guru Nanak Foundation of America Gurdwara, Silver Spring, MD): The word “Sikh” means student or disciple. Sikhs have three basic core beliefs: constant meditation and remembrance of the Creator, the importance of earning a living by honest and hard work, and the importance of justice and freedom for all. Sikhs are disciples of Guru Nanak and the nine gurus — prophets who founded the religion almost 300 years ago. The way that the tradition evolved is that each guru selected a successor guru. The tenth and final guru, Gobind Singh, in 1708 decided to end the successive lines of human gurus and decided to appoint the Sikh scripture called Guru Granth Sahib as the eternal guru. It is the eternal guru of the Sikhs because it contains all the revelations received by all the ten gurus. 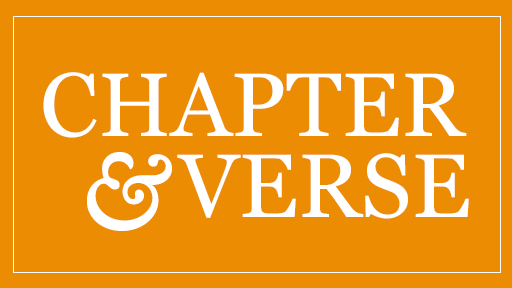 In 1699, the Guru Gobind Singh revealed the Khalsa and the five Articles of Faith. The Khalsa is a brotherhood of Sikhs who publicly take a vow to follow a certain spiritual discipline along with a physical discipline. The five Articles of Faith are: Kesh, which is uncut hair. The Sikhs are required to keep uncut hair on their entire body, and this applies to both men and women; Kara, which is a steel bracelet worn on the hand and reminds Sikhs to always do good deeds; the Kanga, which is a small wooden comb, and its purpose is to remind Sikhs [of] the importance of cleanliness. The fourth is Kuchara, which are worn to signify the importance of chastity. And the last Article of Faith is the Kirpan. It’s a religious sword that is worn to remind Sikhs that they have a responsibility and a duty to stand up for justice. Sikhs are not pacifists, but at the same time, we do not espouse violence. The philosophy is that if all other means of achieving justice have failed, it’s righteous to raise the sword. That philosophy comes out of this concept of “saint-soldier,” where the common analogy given is that a sword is merely a tool. In the hand of a righteous man, it can be used to uphold justice; in the hands of somebody who is evil, it will be used to commit atrocities. Being a Sikh is immensely spiritually uplifting. At the same time, it is also a challenge, because you stand out in the crowd. But my faith helps me sustain, on a day-to-day basis, living a life of spiritual and physical discipline.